The TeX Users Group or TUG is a decades-old organization for users of the mathematical typesetting language that is not exactly called TeX. Bizarrely, as a teenager I phoned up Prof. Donald Knuth, TeX’s inventor, at Stanford, whereupon his secretary corrected my pronunciation of his name. In July, TUG held its biannual conference here in Toronto. I was invited to give a presentation to these typographers about TTC type ’n’ tile. I did, and you can read the journal article that resulted. These are serious and learned and also technically competent people working on a seemingly obscure markup language that is still in common use in its intended fields. The speaking notes from my presentation were obviously in HTML, which journal editors converted to some version of TeX. I then just natively edited the TeX files in BBEdit despite my never having done that before. A reason why TeX is still in use is because it actually works. I advertised to attendees that they could meet in the hotel lobby later that same day for a short tour of the subway. I arrived to a packed room and realized that everybody wanted to go on the tour. We ended up with two groups. I had never had the experience of leading, Pied Piper–style, twenty-odd aging computer scientists and typesetters across the humidity and noise of Yonge and Dundas in summertime. Of course it was hard to hear, and in fact I tended to give impromptu lessons to the different groups twice over, but my audience was amazed by two facts: TTC has its own typography and TTC is really blowing it. 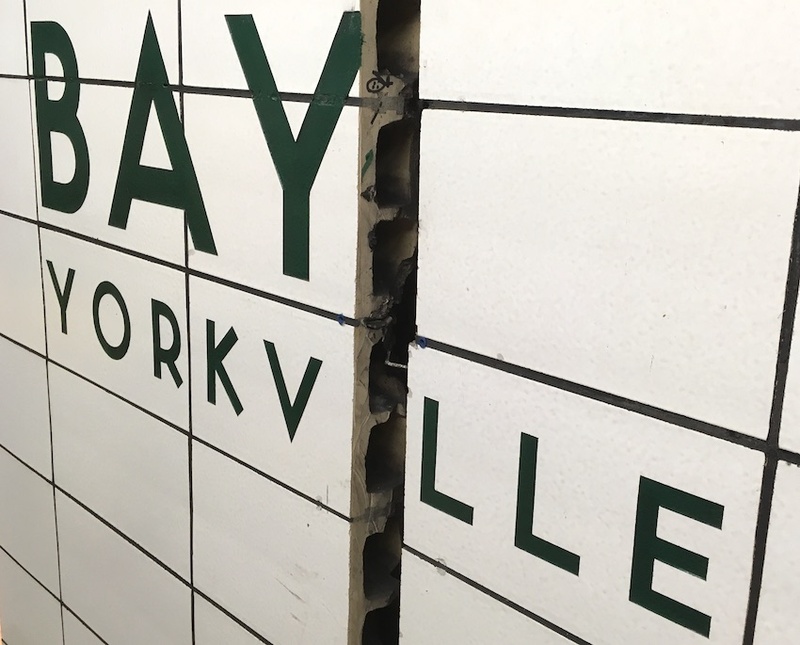 At Bay station, two things happened. My friend from a large software conglomerate, a Ph.D. in reading acquisition who shall remain nameless except inasmuch as he is Kevin Larson from Microsoft, was bursting with excitement when I told him that a Grimes music video was filmed in Bay Lower. He almost but not quite squealed like a schoolgirl at being so close to somewhere Grimes had also been. You just never know with these people! And by the way, they loved me.